Chris Brown is making elaborate Christmas plans with daughter Royalty. Chris Brown is one devoted dad! When it comes to his baby girl, Royalty, Brown leaves no stone unturned in making her feel on top of the world. Earlier this year, the singer hosted an elaborate princess-themed party to celebrate Royalty's fourth birthday. The tiny tot even arrived in her own horse-drawn carriage. With Christmas just around the corner, Brown is already making plans with lil Royalty for the holiday season. A source close to Chris revealed to Hollywood Life that making 'special memories' with Royalty is very important to him. 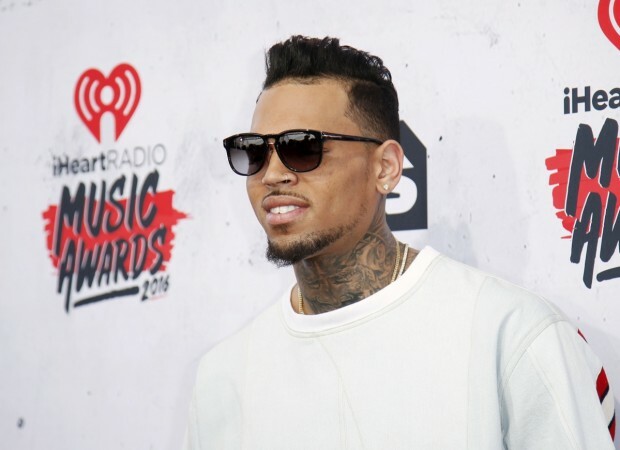 "Chris is excited about celebrating Christmas with his daughter Royalty this year. Christmas was always a very big deal for Chris when he was a kid, he has the best memories of celebrating with his family so it's very important he make those special memories with Royalty now too. They have their traditions like decorating the tree and dancing around to Chris's song This Is Christmas and of course opening presents. Most of the time Chris tries hard not to spoil Royalty, he wants her to grow up grounded. But on special occasions, like on her birthday or at Christmas he doesn't see anything wrong with going all out. She's at the perfect age for it now and has been writing long lists for Santa too, she's so cute," said the insider. Earlier this year, Chris was embroiled in a bitter child support battle with baby mama Nia Guzman who was demanding that Brown triple the child support he was paying. However, it seems that Brown and Nia are on good terms now. "Things between Chris and Royalty's mom have been going way better the last few months. There shouldn't be any drama to ruin the holidays which is a big relief to everyone. Chris will get his time with Royalty on Christmas the way he does every year, he's looking forward to it," the source added. Looks like Brown is totally nailing the dad role. He even offered some parenting advice to Drake who welcomed baby Adonis in 2017. According to a report in Hollywood Life, Brown told Drake to spend quality time with his son. A source said "Chris gave Drake some surprisingly sweet parenting advice that some might be shocked to learn about." "Chris encouraged Drake to spend as much time as possible with his child, especially while they are young, and to just be present. Chris shared with Drake that kids grow up so fast and that your time and attention is the most valuable thing they want and need," the insider added.